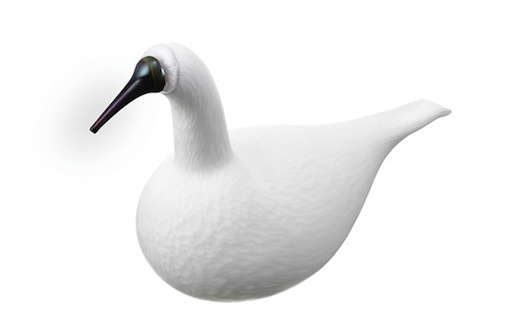 The snowy white whooper swan is Finland’s beloved national bird. 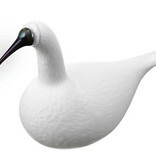 Its name honors Karelia, where designer Oiva Toikka was born. 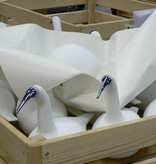 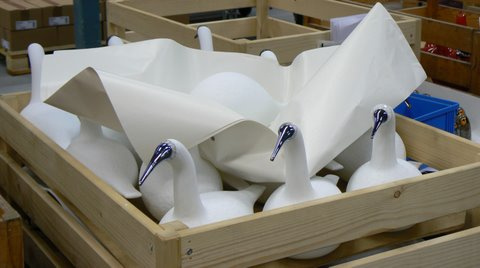 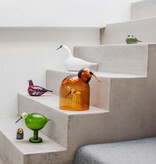 Individually handmade and mouth blown out of opaque glass with a matte finish, each uniquely beautiful swan is numbered.